So. This blog. It’s been . . . well. It’s been a while. And maybe I’m ready to start blogging again, and maybe I’m not. I haven’t decided. In any case there was a thing I wanted to talk about – an experience that was too large, for me, and too nuanced to possibly fit into a tweet or any kind of social media post – and I figured, instead of talking about it, I should blog about it, and then I thought I should seriously consider starting a blog, completely forgetting that I already have one, and have just been giving it the cold shoulder. For months. Because I am a dork. And an ignorer. Well. Here I am. I’m back. To talk about Nerd Camp. I have a new book! 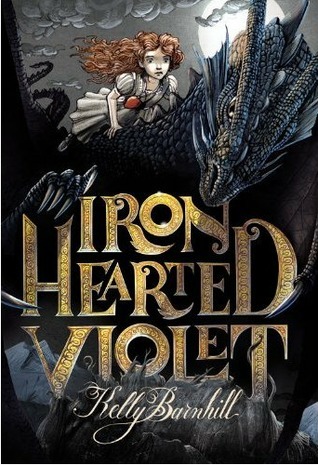 With pretty covers! And it’s been getting, like, stars and stuff! It’s called The Girl Who Drank the Moon, and you can read reviews about it if you want to. 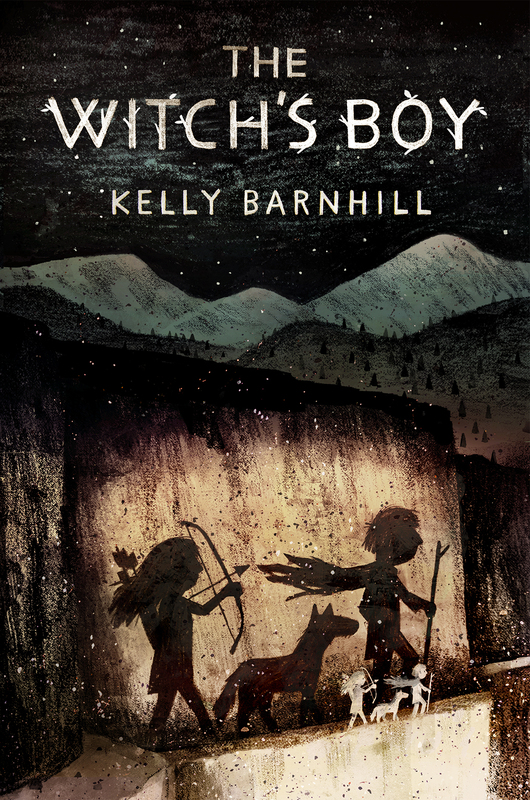 (Linked here are the starred reviews from School Library Journal, Kirkus, Booklist and PW, as well as the nicest review I’ve ever gotten in my life from Shelf Awareness.) Comes out in August. Having a book come out is stressful. So. Stressful. Maybe I should blog about it. And another book – this one a novella! For grownups! 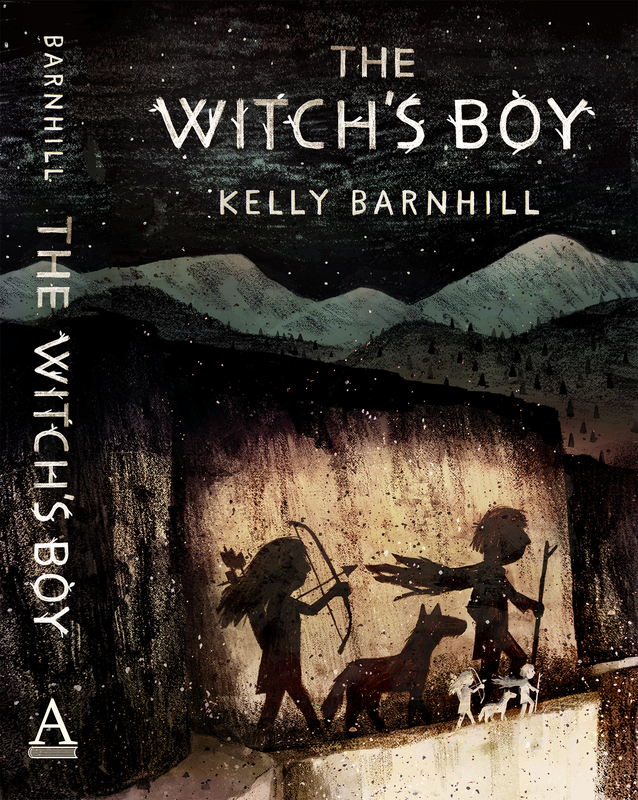 And it is, shockingly, a finalist for the World Fantasy Award! 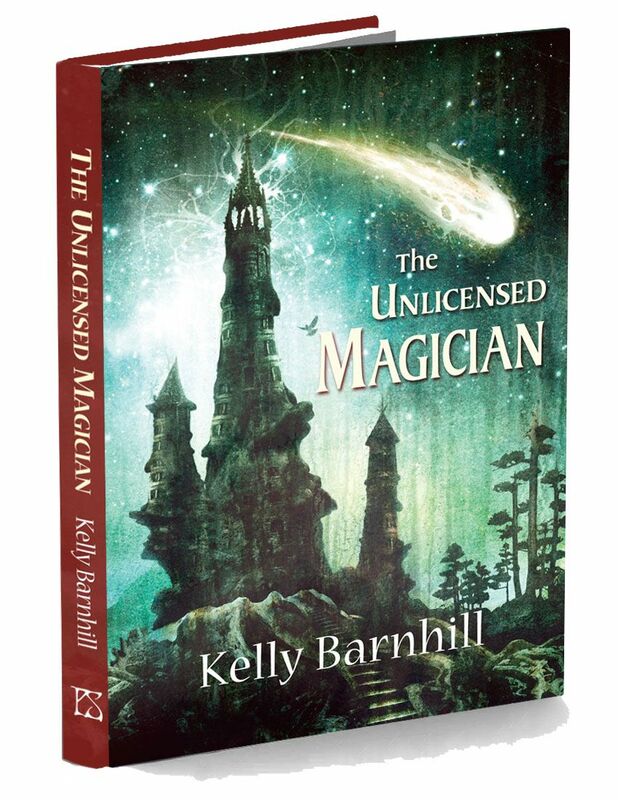 *faints* It’s called The Unlicensed Magician, and it came out in January, and it also has pretty covers and pretty endpapers and pretty pages and is just as pretty as can be. And a finalist for a fancy award, like a fancypants. Fly, my little book! Fly like the wind! College. Holy crap. My oldest is applying for college. It literally made me bleed just to write that. My soul is bleeding. And it’s stressful and thrilling and mournful and exciting and scary and joyful and terrifying and sometimes makes me want to barf. Okay. That’s enough updates. Now on to Nerd Camp. Back when I was a teacher, I was a big believer in free-range reading. I insisted that my seventh graders read widely and often, and instead of soul-killing reading logs or book reports, had them engage with their reading in creative ways – art, performance, discussion, creative writing and fan fiction. One kid even wrote a song. I would take them to the library every other week and tell them to go nuts, and then I’d flit from group to group, ghosting into their conversations, making subtle suggestions and sly whispers. Try Watership Down, I’d murmur. Or Holes. Or Harry Potter. Or Watsons Go to Birmingham. I’d hide behind stacks or lurk behind tables. Ever heard of Octavia Butler? You’d like her. How about these rad books by Terry Pratchett. My voice was light as feathers. I think you’d dig House on Mango Street, I’d say to no one in particular. It was important to me that my seventh graders were deep readers, wide readers. I told them that a book wasn’t just a book: a book was a conversation. Not only that, a book was a multi-level and multi-dimentional conversation: it was a conversation between author and reader, between character and reader, between itself and other books, between itself at the beginning and itself at the end, and between itself and the world. A book was more than the sum of its pages: all books – all stories – are infinite. As infinite as worlds. I didn’t last in teaching. I tell people that it was too hard starting out at the time I was, with the near-constant layoffs and the grim reality of having to start mid-stream every year in a different building, all while having small children at home, and the disruption was too much. That was true, but that’s not the whole story. I left because of the testing regime. And the soullessness of reducing books to lexile scales and AR numbers. Of constantly assessing kids and reducing them to their “level”, their “score”, their “number”. Removing the joy from the relationship between student and story – indeed, removing the relationship at all. You can’t have a relationship with a test score. You can’t have a relationship with an assignment. You can’t have a relationship with a log or an assessment or a data point. And in the end, I just couldn’t bear it. I couldn’t figure out how to build readers when their tests were constantly tearing them down. I couldn’t figure out how to foster relationships, when so much of what I was getting from my district was so contrary to what I knew was true. How could I have a “data driven classroom”, when I wasn’t teaching data: I was teaching children? Honestly, I’m so amazed at the teachers who have been able to hold onto the practice that they know is best for their kids, the practice that they were trained to implement, despite those outsized, outside pressures. Later on, as a parent, I got into a real drag-out fight with my son’s school over their SRA reading curriculum. Instead of reading Caldecott and Newbery books, he was instead forced to read dull, plodding pre-packaged reading scripts, stylus in hand, pointing to each word as he read it out loud. At home he was reading Holes and Wrinkle in Time and Little House on the Prairie. At school, he was reading texts so dull they made him cry. Over and over and over again. “Read it until it’s perfect,” they said to my boy who was constantly swapping dull words with more interesting synonyms to jazz it up a bit. But each time he deviated, he couldn’t “progress”, and he was stuck on the same lesson, over and over and over again. Sometimes for weeks. This is what happens when we value curriculum over children. And even though I was able to get him moved to a more interesting class, the weeks of languish left a mark. He lost his joy of reading. And it has not come back. Coming to Nerd Camp, listening to Donalyn Miller and Kathy Burnette and Colby Sharp and Pernille Rip speak the truth about the power of books in the lives of kids, and the joy that kids feel when they can be a part of a community of books, and the transformative power of language and story and art. Well. It was like coming to the homeland that I had always longed for, but had never found. Or like arriving at the Mothership. Or finding the Spring of Truth and Righteousness. And honestly, it was amazing, in this age of monetization of education, of the systematic deprofessionalization of teachers and librarians by soulless bean-counters and data-worshipers, and of the cynical ploy of big companies to sell districts on pre-made curricula, completely ignoring the fact that great teaching is, in its heart, relational, that there could be this many people willing to come all the way to Parma, MI, to connect with one another and collaborate, swap ideas, and commune with books. At Nerd Camp, every book is an opportunity for connection and transformation. At Nerd Camp, every child has the fundamental right to be able to see themselves in books, as well as knowing other through books. At Nerd Camp, books are not passive; they are active members of a classroom community. They are conduits of radical empathy. They are the catalyst for kids to find their voices, and to speak loud. This is true everywhere, of course, but there is something magic when two thousand people come together and say YES, books matter. And YES, readers matter. And YES, books must be brave and readers must be brave and authors must be brave and teachers must be brave and librarians – above all – must be brave. It is an act of bravery to read a book and to write a book. It’s an act of bravery to stand up for a controversial book. It is an act of bravery to shelve a book in your classroom or library, knowing that there might be someone who thinks you should lose your job for it. Literacy, in the end, is not a coward’s game. Literacy, by its nature, is disruptive. It inspires social change. It broadens minds. It foments revolutions. Teach a kid to read and you can change their life. Inspire a kid to love to read, and you can change the world. Thank you, Nerd Camp. And thank you, profoundly, my beloved fellow Nerds. Let’s go change the world, shall we? Thank you for sharing your thoughts and and passions centered around reading and the awfulness (testing!) that we teachers try to protect our students from. Going to Nerdcamp for the first time has rekindled my reading flame! You are so awesome. Let’s talk a dog walk or go for a run sometime this summer!! Good to see you back here. And YES. This horrible transformation of education into stuffing kids full of a lot of dull, and then squeezing those same stuffed kids into preshaped molds – it’s HORRIBLE. Delightfully true, every word. Thank goodness for the brave that continue to fight to keep books the delight that they were meant to be.